AQUAKIDS® SWIM SCHOOL IS ALL ABOUT CHILDREN HAVING FUN WHILE DEVELOPING SWIMMING SKILLS AND A LIFE-LONG LOVE FOR THE WATER. Group and private lessons are available 7 days a week. 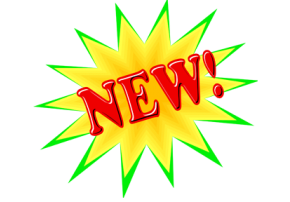 Daytime, afternoon, and evening classes are offered Monday through Friday and morning classes are offered on Saturday and Sunday. 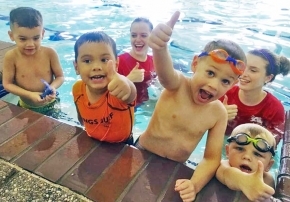 Classes are taught year-round in our indoor 92˚ water pools. Lessons are scheduled weekly or daily depending on the time of year. 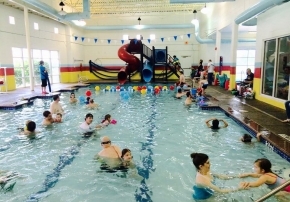 Class sizes are very small to allow for the maximum amount of one-on-one instruction and swim time for each child. Group lessons have three students in a class for children, ages two and older. Baby classes have a six to one student-teacher ratio. We are committed to building confidence and a life-long love for the water. Our non-stressful and nurturing environment is full of creative teaching methods to ensure that each child is successful in swim lessons. The AquaKids® staff is trained to make your child’s swim lesson experience a happy and exciting time. If you aren’t happy, we aren’t happy. 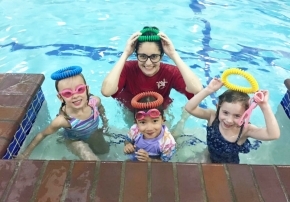 We use our own AquaSteps® curriculum for swim lessons. 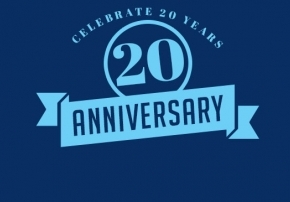 This curriculum was developed by our lead instructors with over 25 years of experience. 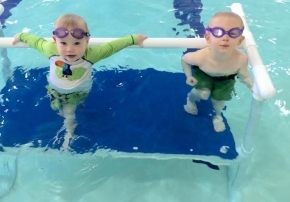 The AquaSteps® curriculum includes 23 progressive levels that are highly grouped by age and ability beginning at 6 months of age and progressing to our developmental AquaStorm Swim Team. 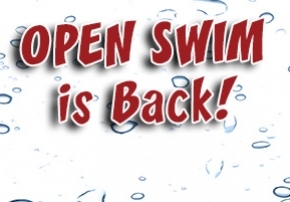 We are a member of the United States Swim School Association and attend all conferences in order to stay up to date on the latest instructional techniques and methods. So what are you waiting for? 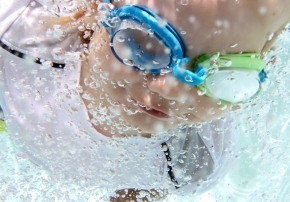 Give your child the AquaKids® advantage. Splash on In today!